Confinement 256 takes the interesting “space limitation” project idea to new heights! This mapping style was popularised by 2005’s Congestion 1024 and has since been done many times over. Confinement 256 pushes the mappers to make use of only 1/16th the space! 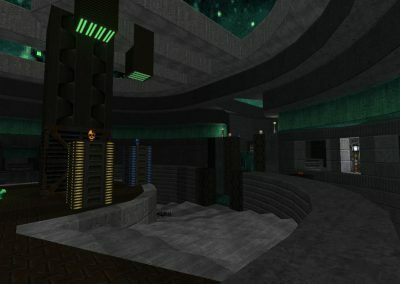 This community project happened by complete accident, but it’s one of the best accidents in my “Doom Life”, so to speak. 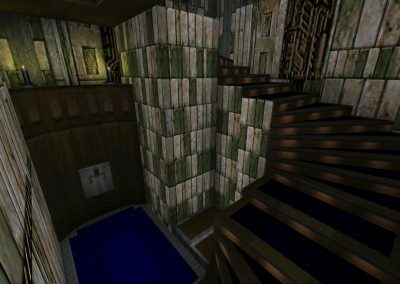 Xyzzy announced that this previously ‘secret’ project was nearing completion, explaining about the idea of creating a 20-map pack of levels taking place in the super cramped 256x256 space limitation, but in the announcement thread a user who goes by the name of Jaws In Space misinterpreted the thread, thinking it was a community project. Once this map came in it opened the floodgates! Xyzzy stated that they’re happy for others to contribute to their project, and that was all it took – As a consequence, submissions came pouring in! 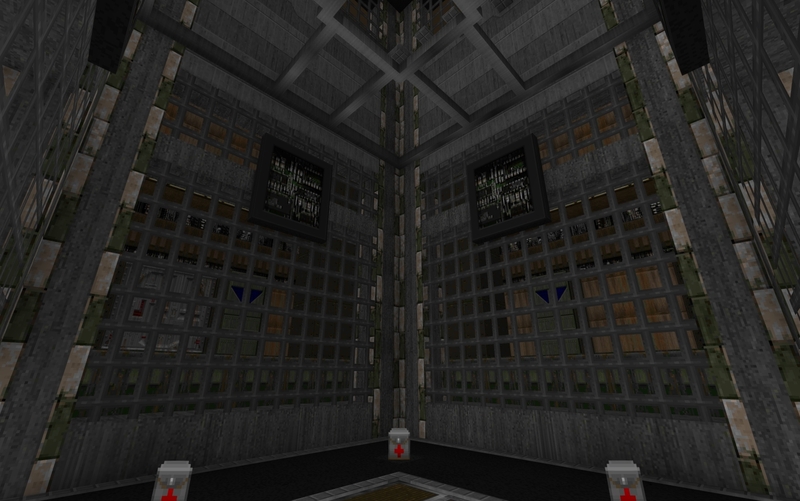 Confinement 256 was an attractive project to map for since the limitation is so small. For most mappers something like it would be a quick ‘speedmap’ for them to pass some time with. Since I’d already registered my interest in Xyzzy’s project I couldn’t help but join in the fun. 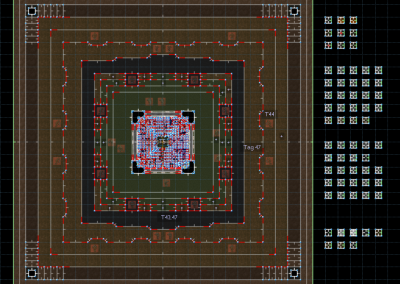 I squeezed as much of a map as I could into the confines of a 256x256 square. Following on from the trends set by previous size limitation projects, Confinement 256 allowed for map geometry, enemies and the likes to be outside of the 256x256 square as long as the player cannot escape these confines. 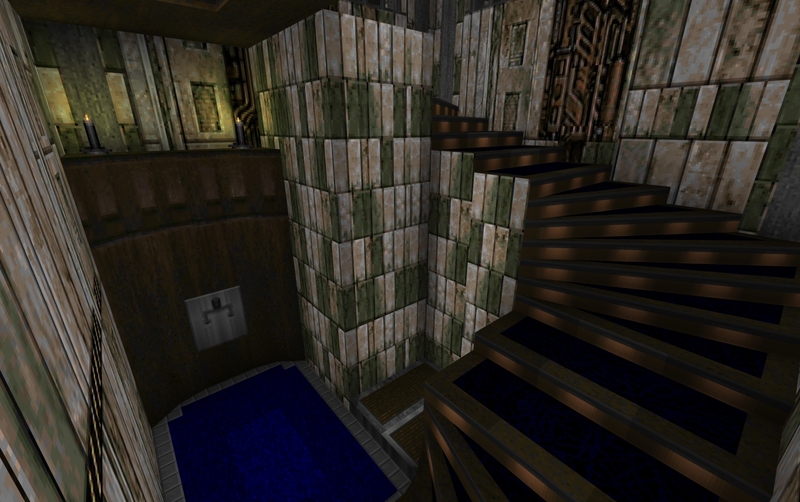 Since the project was for GZDoom, allowed the UDMF map format and had no vertical limit (256x256x???? ), I took this as an opportunity to see what I could really squeeze out of this single map. It was quickly becoming an intense mess of lines and control sectors. View the screenshot gallery below for an editor screenshot where you can see the inner 256x256 square is just a total mess! Each sector there makes heavy use of the ‘multi-tag’ feature, meaning it has several (in this instance 10+) sector tags applied to a single sector. 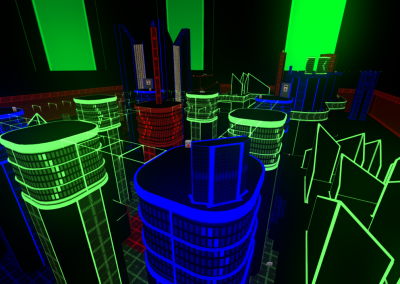 This feature allowed me to stack several differently shaped 3D floors above each other to create a large scale tower. 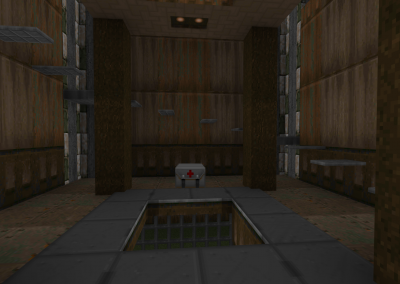 The map was mostly produced in a single sitting of a few hours. I planned on going almost twice as tall as I did, however I noticed that even with my high-end computer I was starting to experience a reduced frame rate, which left me concerned about the map being playable at all on older machines. 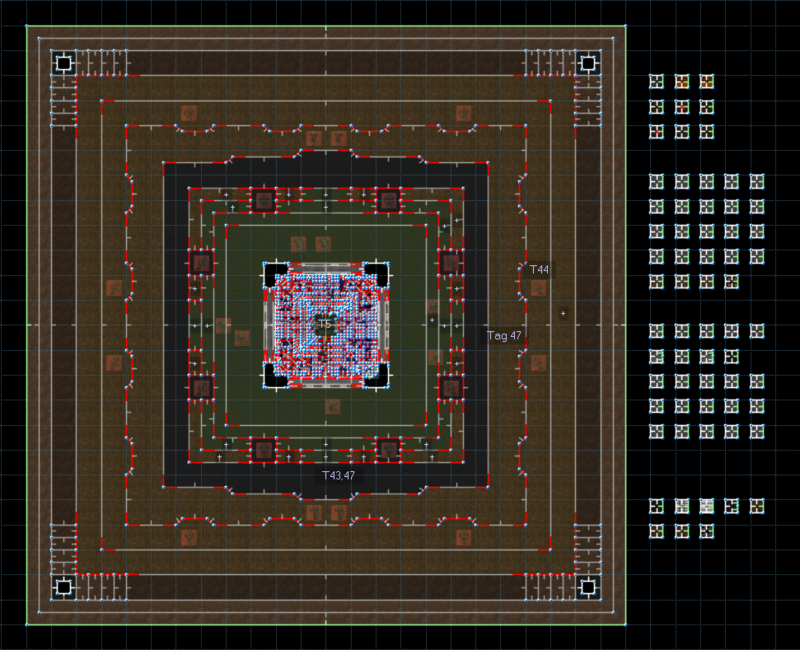 Regardless, with a floor height of -168 and a ceiling height of 1096, my map is exactly 1,264 units tall! 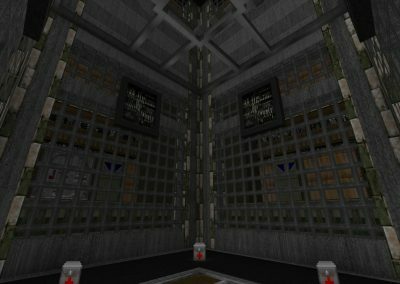 A 256 x 256 x 1264 tower crafted with 2048 linedefs / 727 sectors. Definitely a test of my patience, to say the least! Once I’d submitted my map, I helped Xyzzy and Bauul compile the project over the course of a month or so. 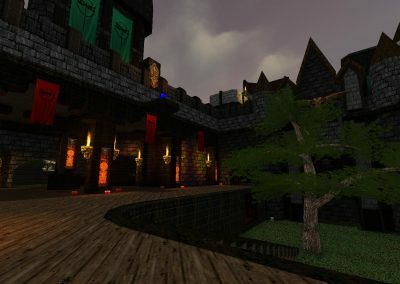 With a total of 51 maps which underwent multiple testing sessions and maplist re-organisations, we had our work cut out for us. 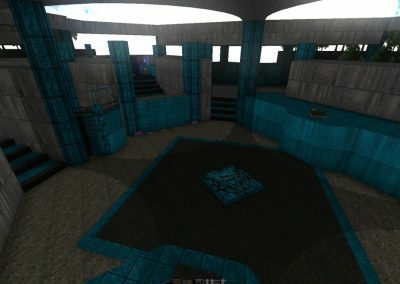 In this time I was able to become great friends with Xyzzy and Bauul and together we were able to pump out a fantastic, interesting map pack complete with everyone’s submissions. 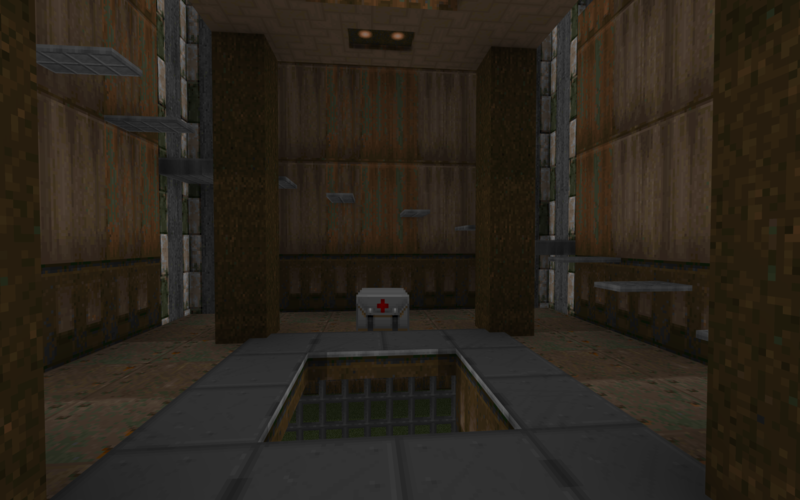 Below are screenshots of my maps. Head over to the Doomworld thread to download and play Confinement 256 for yourself, which was released on Xyzzy’s 19th Birthday!